Microsoft is getting serious about putting Minecraft in the classroom. On Tuesday,Microsoft and Mojang announced a new, expanded version of the game called Minecraft Education Edition. This education-focused version of the game will roll out as a free trial this summer after a development period this spring. Microsoft’s classroom-centric version of Minecraft will be built on MinecraftEdu, a "school-ready remix" of of the game. Microsoft announced this morning that it has purchased MinecraftEdu. Why this matters: We’ve heard the company talk about Minecraft as an educational tool before. In late 2014, CEO Satya Nadella justified Microsoft’s $2.5 billion acquisition of Minecraft-maker Mojang saying the game was a perfect tool for introducing STEM subjects to students. Minecraft certainly has the potential to become a popular learning tool. Kids love it, and the game is already being used in more than 7,000 classrooms around the world, according to Microsoft. To go from 7,000 classrooms to 70,000 or 700,000 will require a big ecosystem around the game. As The Verge points out, building in Minecraft can be tedious work—and even overwhelming for novices. Minecraft Education Edition will need a healthy set of templates and packages that help teachers get their projects off the ground. Microsoft appears to be off to a good start on this. MinecraftEdu already came with some development help. On top of that, Microsoft launched a new portal at education.minecraft.net as a resource. 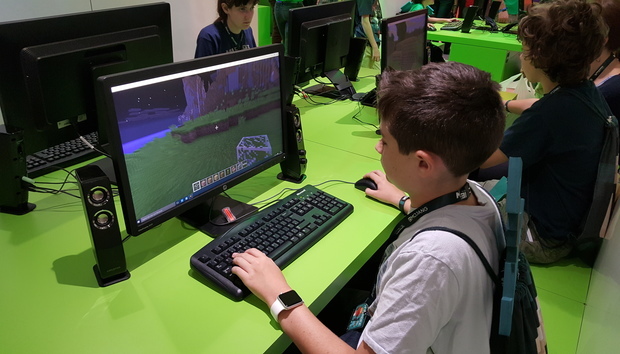 The site will also have a Minecraft Mentors program where teachers new to the game can get tips from educators experienced in the world of dirt, granite, and redstone.